Our PRO Track is made of sturdy, virtually indestructible plastic. It is light weight and requires no tools to setup! The PRO Track is a complete track package with a timing system, start gate and landing zone with electronics and software that runs on a PC. 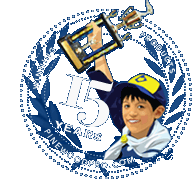 The PRO Track is a complete system for Pinewood Derby or LEGO Derby Car racing. System includes track, timer and Race Manager software. System is light weight for portability with quick and easy setup. The PRO Track comes in 7’ sections (rather than 8’ like other tracks) so it easily fits in the back of an SUV. The PRO Track is a complete track package with a timing system with computer software so you manage your race on a PC. In addition, the timer system includes LED lights built into each lane that flashes the lanes in sequence according to 1st, 2nd, etc. place. Lastly, this finish gate has a built in speaker that announces the winners in sequence with the winning time. The PRO Track is ideal for LEGO Derby racing because it doesn't include a center guide rail or a timer gate. This means cars only need a 1/4" clearance on the bottom and there is no height limit. This means racers can be as creative as they want when building their LEGO derby cars.